It is March here in Chicago and most people are a little tired of cold weather and are waiting for Spring. So, it is a fitting blog topic to talk about a cool-to-warm transition in a photography context. I’ve touched on this briefly in a past blog, but you have probably forgotten about that if you even read it. 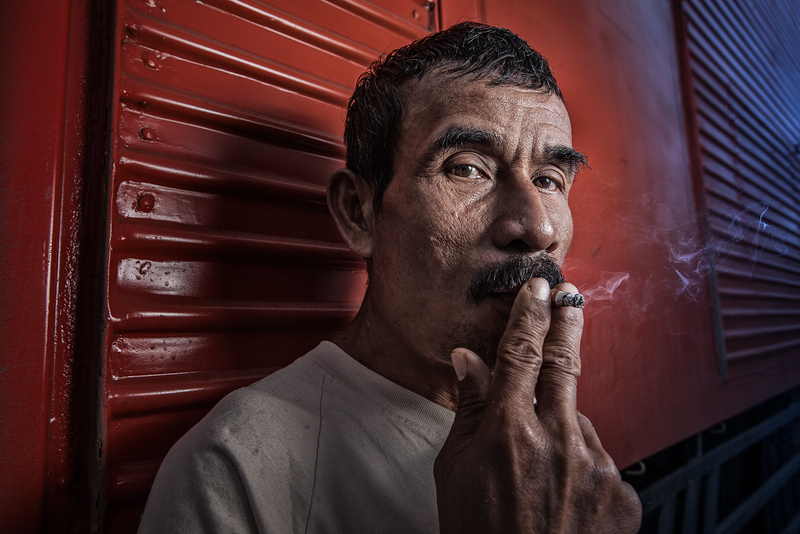 The image above of an Indonesian dock worker starts with warm on the left and moves to a cool color in the upper right corner. 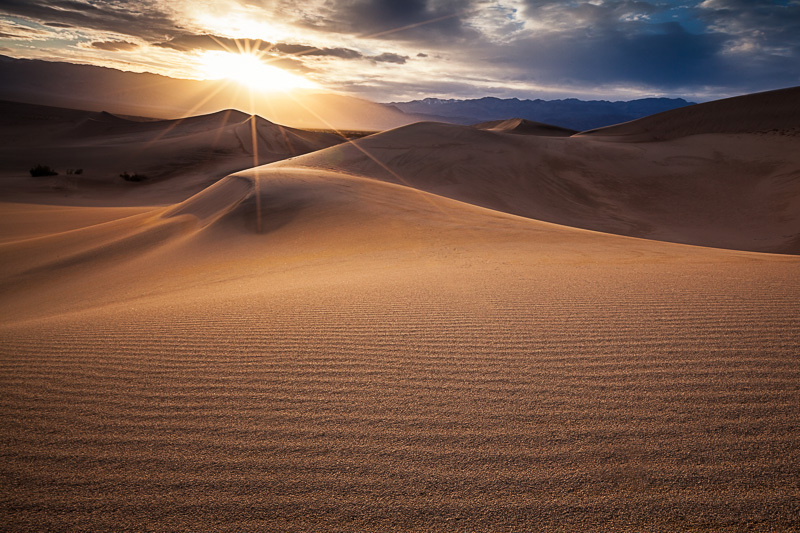 Horizontal view of Death Valley’s Mesquite Dunes at the end of the day. This picture of the Mesquite Dunes transitions from warm sand and sun to a cool looking sky in the upper right corner. 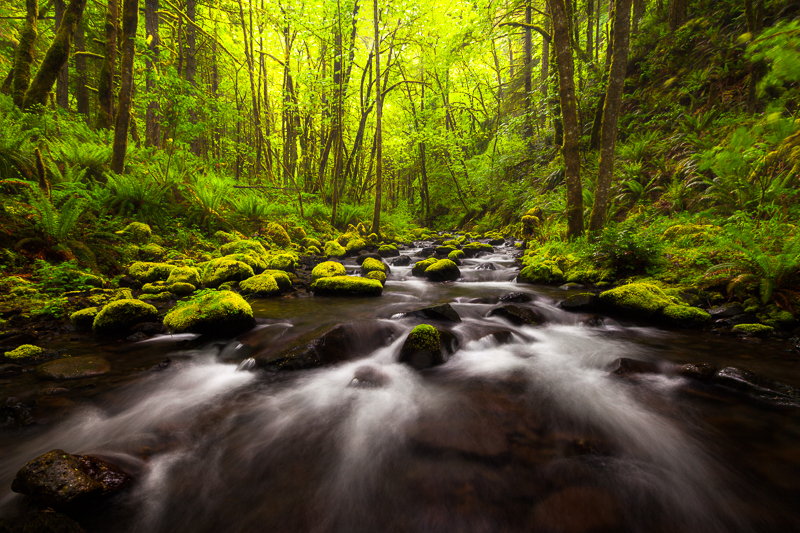 The above picture of Gorton Creek in Oregon’s Columbia River Gorge does the opposite… it moves from a cool foreground to a warmer background. In some cases, the transition can occur naturally in your scene. In other cases, you can accomplish this in post-processing. You can do this in a variety of ways in Photoshop, but one way is to add a solid color layer with a warm or cool color and then add a gradient mask to make the transition. Be sure to reduce the opacity of your layer. Or, warm or cool photo filters can be used with the gradient mask to make the transition. Posted in Processing Tips, Shooting Basics on March 28, 2015 by Ken Koskela. When I am shooting portraits, I like to include the subject’s hands in the composition. If you follow my blog, you know that I shoot my portraits with a (somewhat) wide angle lens. This means that including the hands in the foreground will make the person’s hands look a little larger than normal and draw attention to them. Not everyone likes this, but I think it adds interest in certain types of portraits. The picture below is of a super-cool Malawian guy. Here, I’ve used the hands and arms in the foreground to frame the picture. 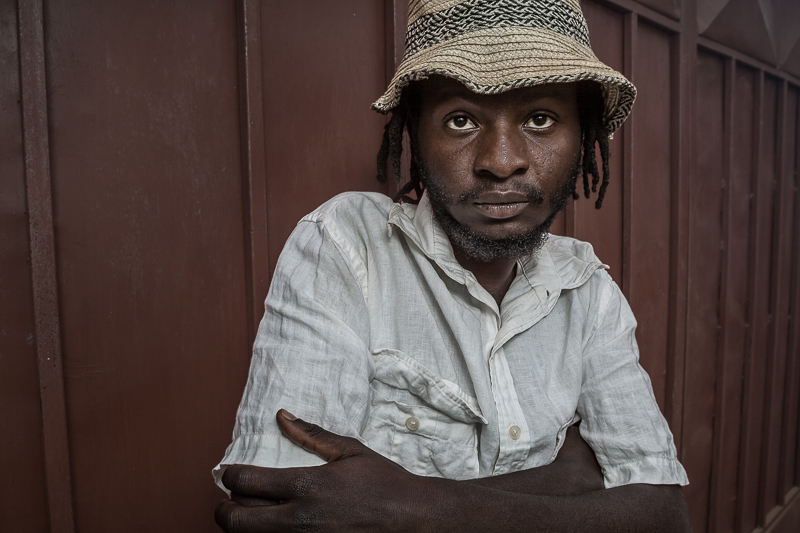 Super cool Malawian guy in an alley in Lilongwe. In some cases, it works really well if the person is doing something with their hands. I am not suggesting that holding a machete works in every situation. For example, if you are a wedding photographer, I wouldn’t suggest this one. But the farmer below had a machete and it works great in this picture. 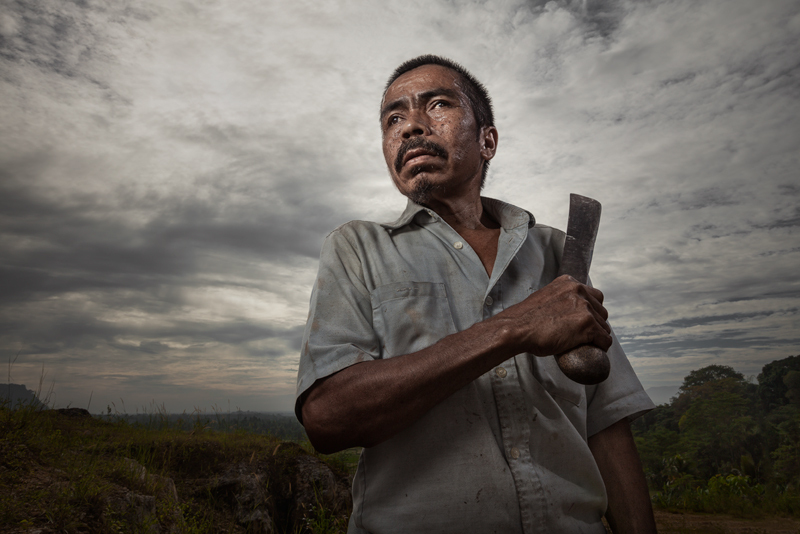 Indonesian man holding a machete with the rising sun behind him. One last example from another Malawian… this time a woman. Here she is simple grabbing her arm with her hand. Notice her hand looks bigger than normal, due to the wide angle lens I used. 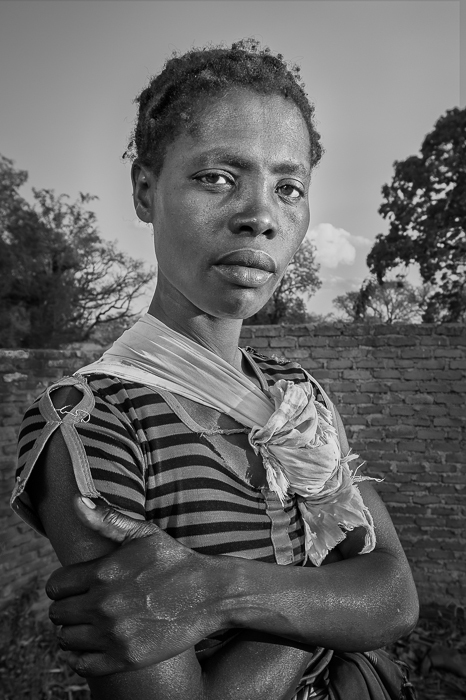 A young Malawian woman poses for the camera in early evening sunlight. Posted in Composition on March 24, 2015 by Ken Koskela. The Orton Effect is a processing technique which helps make images “glow”. This technique is quite popular among landscape photographers. Although it was originally used in film processing, this is accomplished in Photoshop by combining a blurred image with the original (non-blurred) image and then applying some brightness and/or contrast adjustments. This is too much Orton, but you can see the glow I am referring to. Notice that the sky goes white due to the increased brightness I used (more on that later) when the full effect is applied. For this image below, I’ve reduced the effect to 30%, which is in the range I’d normally apply, but have left it applied to the entire image. The sky is still lighter than without the effect, which is undesirable. In this case, I’ve applied the effect moderately in selected parts of the image, namely the lavender, the distant yellow field and the right part of the larger tree which is getting sunlight. First, make a copy of the background layer (Layer – Duplicate Layer). Second, create a new group folder by either clicking on the group folder icon or going to Layer – New –> Group. You can name the folder “Orton”. Move the copy of the background layer into the Orton folder. 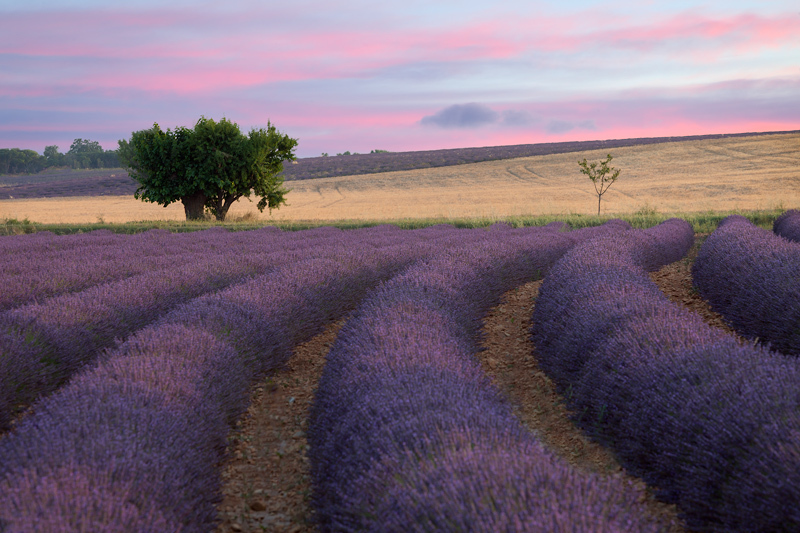 Third, create two brightness/contrast adjustment layers in the Orton folder. Move one layer above the background layer copy and one below. Fourth, select the top brightness/contrast layer and clip it to the background layer copy by doing a Control-Click (Mac) or Right-Click (Windows) on the brightness/contrast layer and choosing “Create Clipping Mask”. Change the blending mode to “Luminosity”. Then double-click on the left side of the layer to open up the adjustment panel. For now, increase the brightness to around 40 or so and decrease contrast to around -20 or so. You will adjust it later. Fifth, select the bottom brightness contrast layer and double-click on the left side of the layer to open up the adjustment. For now, increase the brightness to around 40 or so and decrease contrast to around -20 or so. You will adjust it later. Sixth, click on the background copy layer and choose “Filter-Blur-Gaussian Blur”. When the filter opens, you will have one value to adjust. Generally you don’t want the value too high or too low. I generally like the effect somewhere between 7 and 40 and usually between 10 and 15. Click okay and then change the blending mode of the layer to “Soft Light”. Seventh, now that you have the full effect applied, it is time to make adjustments to the brightness/contrast layers. Double-click on the left side of each brightness/contrast adjustment and try modifying the adjustments to get the image looking more like you want, keeping in mind you will be lessening the overall effect. Sometimes, it looks good to apply increased contrast rather than decreased. Option 1: If you want to apply the effect to the entire image, then simply click on the Orton folder layer and reduce the opacity until it looks how you want it to. I usually settle on around 30% opacity. Option 2: If you want to apply the effect selectively (recommended), then Alt-Click on the “add layer mask” icon while the Orton folder layer is selected to add a black mask to the layer. Then select a soft brush using white as the foreground color and reduce the flow on the brush to around 15%. Paint white on the mask to build up the effect in the areas of the image that you want. In general, I find that having the distant elements of the image glow looks better. Also, you may want to retain the detail in certain parts of the image, such as a detailed foreground subject, so avoid painting the effect into those areas. I also usually avoid applying the effect to bright areas of the sky, as the Orton Effect (depending on your settings) will typically brighten that part of the image. Posted in Processing Tips on March 11, 2015 March 11, 2015 by Ken Koskela.